For over five years Mills Property Management has been packing boxes for Operation Christmas Child, a project of Samaritan’s Purse. Each year in November the company hosts a Packing Party for employees and their families to come and pack shoe boxes full of gifts for boys and girls. 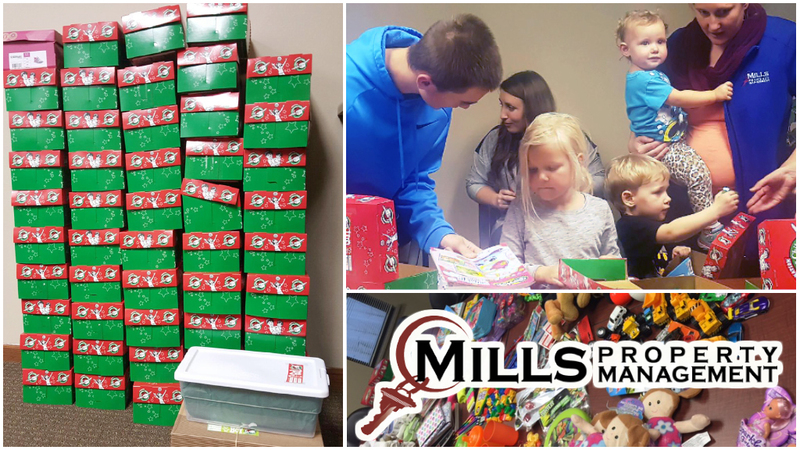 This year 55 boxes were packed by employees, their children, and residents of properties managed by Mills Property Management. The boxes are packed with donated items including: essential self-care items, crayons, coloring books, small toys, and balls. These packed boxes are then dropped off at a local drop-off location to be shipped to one of eight processing centers in the United States. Operation Christmas Child has been collecting and delivering gift filled shoe boxes since 1993. Over this time, the project has donated over 135 million shoeboxes. These boxes travel to children all over the world, including over 150 countries and territories total! For many children, the shoe box they receive is the first gift they have ever gotten. 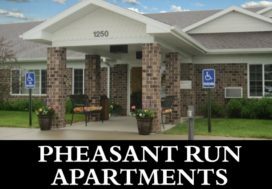 Mills Property Management is excited each year to allow our staff and residents this wonderful opportunity to reach beyond the local community and spread the joy of Christmas.